Menken illustrates how kids and adults are teachers and students, and how parents are not only raising their children but also improving their own inner lives. Parenting never really ends. 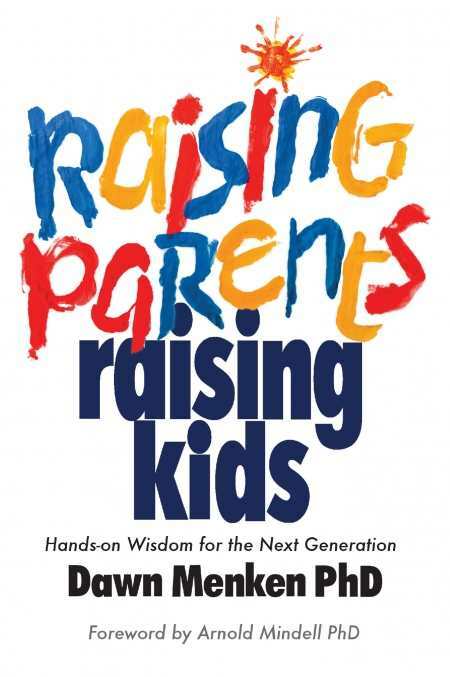 Instead, as Dawn Menken’s book Raising Parents, Raising Kids explains, nurturing children’s emotional, social, and spiritual development is an ever-changing process. Ideas about parenting affect adults, too, and the world as a whole. A kinder world is possible if adults take time to reflect on their own childhoods. Menken mixes her clients’ stories and case studies with details about raising her own child. This gives the book an intimate and accessible touch. She explains that successful parenting means developing a deep and meaningful relationship with children. The author asks parents to reflect on their own childhoods, parents, and familial experiences. For example, Menken asks parents to consider times when they felt empowered as children, and to tap into their inner child to help understand where kids are coming from. After all, the formative years are an important time when youth develop self-esteem, social skills, and conflict resolution skills. Menken opens the book’s chapters with kids’ quotes to demonstrate the power of their voices. One section opens with a quotation from an eight-year-old boy named Theo who says, “I am going to use my polar-pac power. It freezes out bullies so they don’t get me.” From here, Menken explains the importance of such fantasy games. By imagining they are superheroes, youth feel empowered to deal with the conflict in their life. These games help youth reflect on their life experiences and see their worth in the world. Menken turns the tables on what many people perceive as “bad behavior.” For example, the book explains that childhood lying is an “expression of powerlessness.” The author explains that children rebel or sneak around because they are in environments where they do not have a voice. By explaining such behavior, parents can better understand their children’s development. Two chapters end with a long, bulleted list of parenting tips. Many points are more than one line long, and some of the recommendations span more than a single page. This feels overwhelming and dilutes the power of the rich suggestions. Dividing these recommendations into smaller sections or even offering a numbered list would better explain these useful tips about communicating with and nurturing youth. As the title suggests, parents are not only raising their children but also improving their own inner lives and helping their communities come together. Both kids and adults are teachers and students. Menken asks parents to celebrate how every relationship is unique. Adults who want to meet kids where they are and nurture their development need to tap into their inner child and discover the power of dreams, fantasy, and play.